The Winery’s most recognizable label continues a course of more than 25 years in a market with increasing demands. A landmark in the development of Cretan wine. A combination of the red varieties Kotsifali and Mandilari. 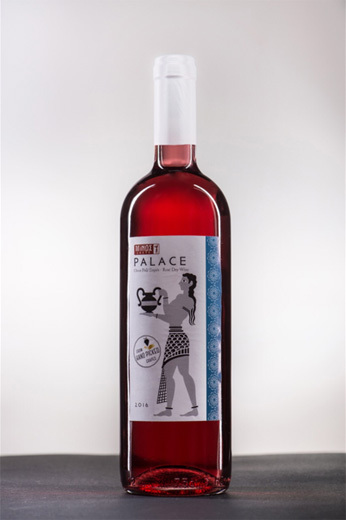 It has a light cherry colour, the aroma of red fruit like cherry and strawberry, a full flavour and a balanced and pleasant aftertaste. The grapes are cultivated in privately owned and contracted vineyards within and around the zone of A.O. PEZA and yield not more that 1.000 kilograms per 1.000 m2. The must remains in the tanks for 24 hours with the grape mash in order to obtain the desired colour. Then it is fermented in 12-tons-tanks at 18oC.